It has often been said, and fairly frequently repeated by me, we need to "stop and smell the roses". While it's become a cliché, the meaning is no less accurate and important. We live in a world where it seems the only thing we take the time to stop and smell, is our morning double shot of espresso, which we drink to keep up with our warp-speed schedules. We're all in such a hurry to get things done - anxious, really. We crave faster, more instantly accessible, and more direct. I understand. I also understand what's missing - the why. The answer is time with a purpose. Time spent smelling the roses; time spent taking it ALL in, slowly and deliberately. It is why (whenever possible) this traveller prefers the longer, slower, and more scenic route. Incidentally, how many of us can say that the last beautiful landscape we saw wasn't merely via Pinterest or Facebook? Get out there! Even a morning spent in a sunny park, at a local farmers market, or local gallery can renew the spirit. Constructed in the 1870's the 73 mile long Settle and Carlisle Railway runs through the Yorkshire Dales and the Pennines. The railway links the industrial towns of Leeds and Carlsile. 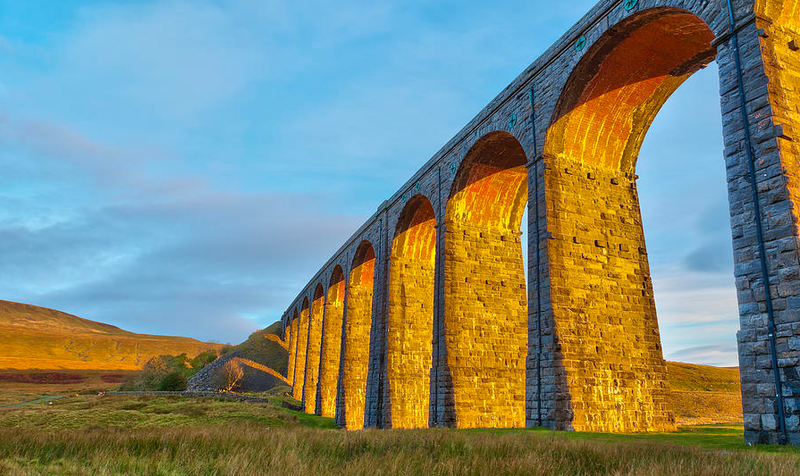 Traveling through its 14 tunnels and over its 22 viaducts (including the famous Ribblehead Viaduct) it's an awe inspiring journey with ever changing scenery. 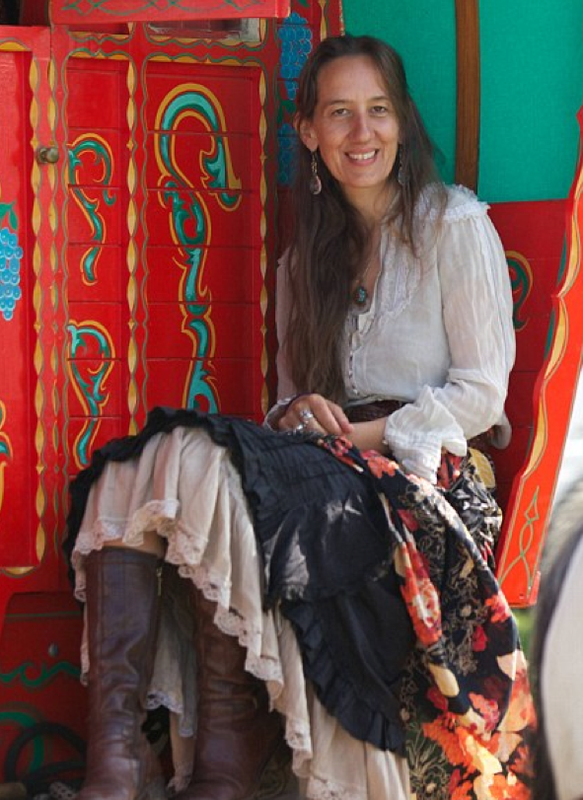 If you arrive in Appleby, Westmorland, Cumbria, during the first week of June, you'll make it to the annual gathering of gypsies and travelers at the Appleby Fair. The fair has been going on since the 1600's and is one of the oldest horse fairs in Britain. If this were a bullet train route, Appleby wouldn't even be a blip on the screen, and you'd surely miss this rare opportunity. 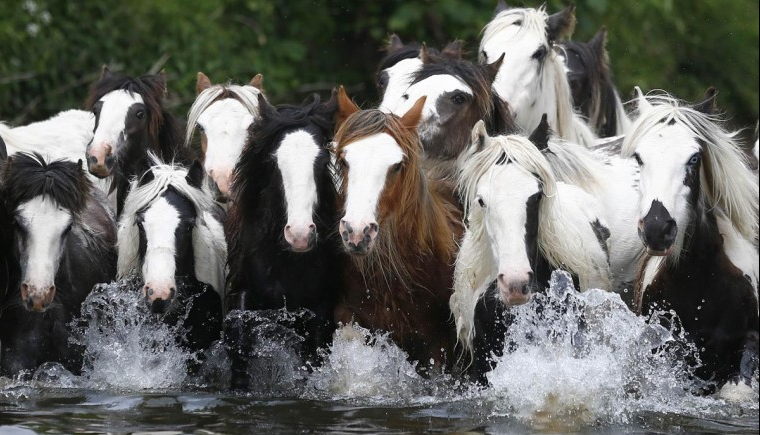 Horse trading is the reason, but the beautiful horses (the Gypsy Vanner Breed) may be upstaged by the gathering of colorful carts and even more colorful characters. You'll fall in love with the horses, the people, and the countryside. The historic station was first opened for public use in 1877 and it is not just a train station anymore!